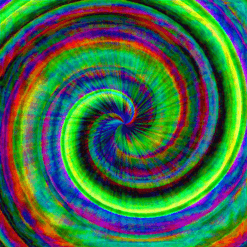 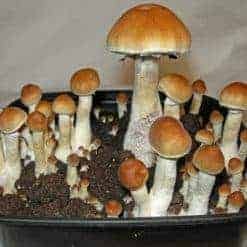 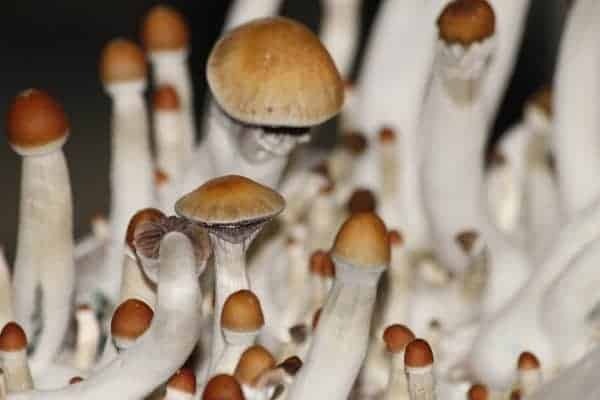 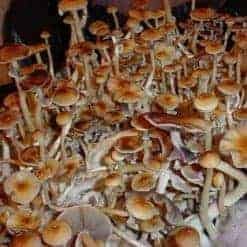 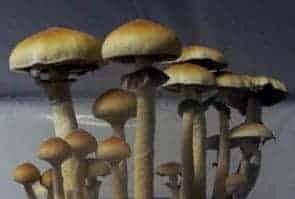 The Golden Teacher psilocybe cubensis strain is one of the most popular researched mushroom spore strains in the world. 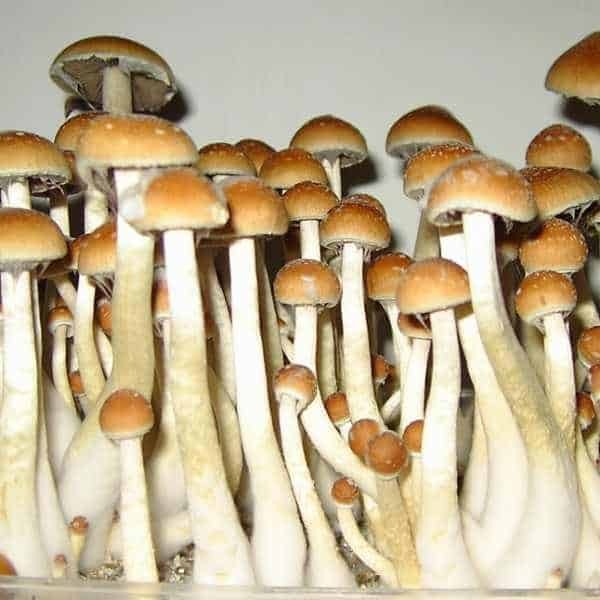 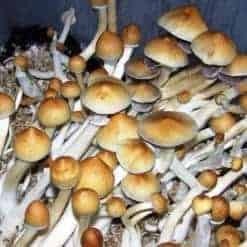 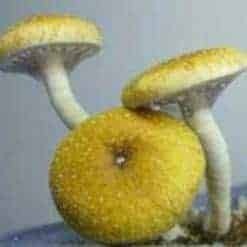 Description: First appearing in the 1980s, the golden teacher cubensis is highly sought mushroom strain by researchers due to its reliability, the exact origin of the golden teacher strain is not known, though it is believed to be discovered on a farm in Georgia. 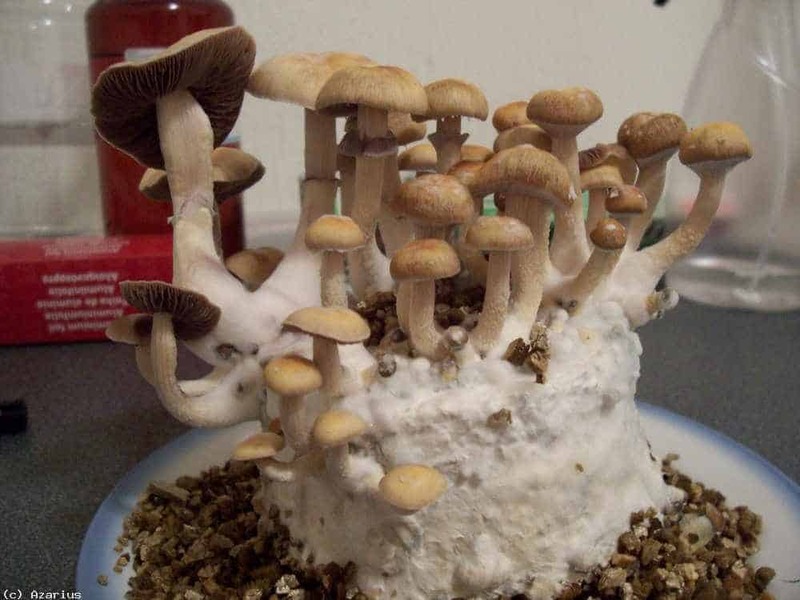 In nature, the first flush of golden teacher will produce medium-sized mushrooms and in later flushes, the mushroom caps might grow very large. 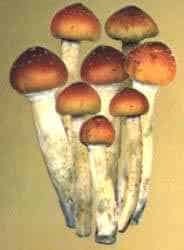 It’s a very robust mushroom with big, massive stems. 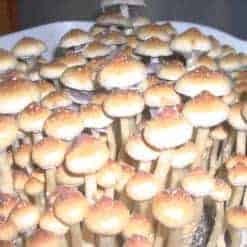 These mushrooms have gills which vary from whitish to purple-brown.